"Chinese coins" redirects here. For modern Chinese coins, see Renminbi § Coins. Ancient Chinese coins are markedly different from their European counterparts. Chinese coins were manufactured by being cast in molds, whereas European coins were typically cut and hammered or, in later times, milled. Chinese coins were usually made from mixtures of metals such copper, tin and lead, from bronze, brass or iron: precious metals like gold and silver were uncommonly used. The ratios and purity of the coin metals varied considerably. Most Chinese coins were produced with a square hole in the middle. This was used to allow collections of coins to be threaded on a square rod so that the rough edges could be filed smooth, and then threaded on strings for ease of handling. An Yī Huà (一化) coin. The San Zhu (Chinese: 三銖; pinyin: sān zhū; literally: 'Three Zhu – 1.95 grams') coin was issued either between 140–136 BC, or between 119–118 BC. The records are ambiguous, but the later date is generally preferred. The Wu Zhu (Chinese: 五銖; pinyin: wǔ zhū; literally: 'Five Zhu – 3.25 grams') was first issued in 118 BC, this inscription was used on coins of many regimes over the next 700 years. Sometimes Wu Zhus can be dated specifically from dated moulds that have been discovered, or from their find spots, but the majority cannot. 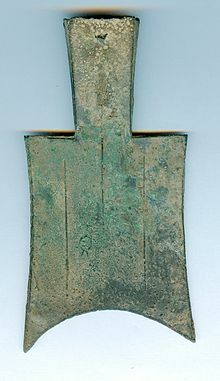 Those of the Western Han Dynasty have a square top to the right hand component of zhu; on later coins, this is rounded. Only a few of the varieties that have been described by numismatists are included here. In AD 30, a ditty was sung by the youths of Sichuan: "The yellow bull! the white belly! Let Wu Zhu coins return". 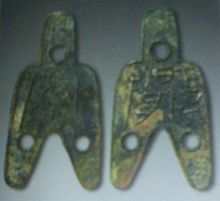 This ridiculed the tokens of Wang Mang and the iron coins of Gongsun Shu, which were withdrawn by the Eastern Han Emperor Guangwu in the 16th year of Jian Wu (AD 40). The Emperor was advised that the foundation of the wealth of a country depends on a good political economy, which was found in the good old Wu Zhu coinage, and so reissued the Wu Zhu coins. The Si Chu Wu Zhu (Chinese: 四出五銖; pinyin: sì chū wǔ zhū; literally: 'Four Corner five zhu') has four lines on reverse radiating from the corners of the hole. It is attributed to the Eastern Han Emperor Ling, AD 186. 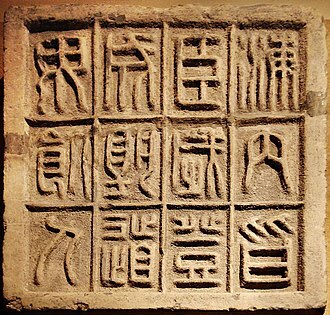 The four lines are said to represent wealth flowing from a ruined city—an omen of the overthrow of the Han Dynasty. Shu Wu Zhu (Chinese: 蜀五銖; pinyin: shǔ wǔ zhū) coins have the word Chuan (Chinese: 川; pinyin: chuān) on the obverse, or the numbers 1–32 on the reverse, in incuse characters. They are attributed to the Shu Han (221–265) by virtue of their find spots in Gansu. Dang Liang Wu Zhu (Chinese: 當兩; pinyin: dāng liǎng; literally: 'Worth Two') is a large thick coin, with a nominal weight of 8 zhu. They are attributed to Emperor Wen of the Southern Dynasties Song Dynasty, who had them cast in 447 as a measure against coining malpractices. Nu Qian (Chinese: 女錢; pinyin: nǚ qián; literally: 'The Female Coin') have no outer rim. Liang Zhu Wu Zhu (Chinese: 兩柱五銖; pinyin: liǎng zhù wǔ zhū; literally: 'Two Pillar') has a dot above and below the hole on the obverse. They are attributed to Emperor Yuan of the Liang Dynasty in 552. They were intended to be the equivalent of ten ordinary coins. Si Zhu Wu Zhu (Chinese: 四柱五銖; pinyin: sìzhù wǔ zhū; literally: 'Four Pillar') have two dots on the obverse and reverse. They are attributed to Emperor Jing of the Liang Dynasty in 557. They were originally intended to be the equivalent of twenty ordinary coins, they soon became worth one. However, similar coins with dots have been found in tombs of a much earlier date. Da Tong Wu Zhu (Chinese: 大統五銖; pinyin: dà tǒng wǔ zhū) have a stout outer rim, inner rim only by the wu. Crossing lines of wu straight. Attributed to Emperor Wen of the Western Wei, Datong period (540). Western Wei Wu Zhu (Chinese: 西魏五銖; pinyin: xīwèi wǔ zhū) have crossing lines of wu straight. The inner rim is by the wu only. They were previously attributed to the Sui Dynasty, however coins of this distinctive type were found within the tomb of HouYi of the Western Wei (535–56). Sui Wu Zhu (Chinese: 随五銖; pinyin: suí wǔ zhū) is hourglass wu, inner rim by the wu only. They were first cast by Emperor Wen in 581. After introducing these new coins, the Emperor ordered all the frontiers to hand over 100 cash as samples in 583, and the next year strictly forbade the circulation of old coins and commanded that when this was disobeyed, the responsible officials should be fined half a years salary. 1,000 coins weighed 4 jin 2 liang. Minting privileges were granted to several imperial princes during this reign. Bai Qian Wu Zhu (Chinese: 白錢五銖; pinyin: bái qián wǔ zhū; literally: 'White Coin') has writing as above. The whitish colour of this coin is due to the addition of lead and tin to the alloy, which was done officially from 585. Yan Huan Wu Zhu (Chinese: 綖環五銖; pinyin: yán huán wǔ zhū; literally: 'Fringe or Thread Ring') is a Wu Zhu whose middle has been cut out to make two coins. Zao Bian Wu Zhu (Chinese: 鑿邊五銖; pinyin: záo biān wǔ zhū; literally: 'Chiselled Rim') is the inner portion of a Wu Zhu whose outer portion has gone to make a thread ring. 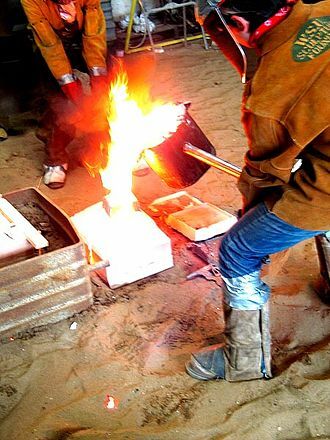 Surviving moulds show that some Wu Zhus were actually cast like this. E Yan (Chinese: 鵝眼; pinyin: É yǎn; literally: 'Goose Eye') or Ji Mu (Chinese: 雞目; pinyin: jī mù; literally: 'Chicken Eye') are the names given to various diminutive Wu Zhu coins. 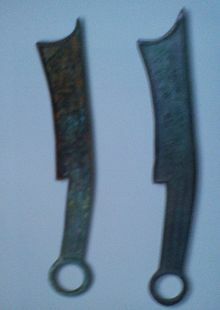 This is a common type with sharp legends which has been found in Western Han tombs of 73–33 BC. Yi Dao Ping Wu Qian (Chinese: 一刀平五千; pinyin: yīdāo píng wǔqiān; literally: 'One Knife Worth Five Thousand') on which the Yi Dao characters are inlaid in gold. The Six Coins. AD 9–14. The Ten Spades. AD 10–14. According to Schjöth, Wang Mang wished to displace the Wu Zhu currency of the Western Han, owing, it is said, to his prejudice to the jin (Chinese: 金; pinyin: jīn; literally: 'gold') radical in the character zhu (Chinese: 銖; pinyin: zhū) of this inscription, which was a component part of the character Liu, the family name of the rulers of the House of Han, whose descendant Wang Mang had just dethroned. And so he introduced the Huo Quan currency. One of the reasons, again, that this coin circulated for several years into the succeeding dynasty was, so the chroniclers say, the fact that the character quan (Chinese: 泉; pinyin: quán) in the inscription consisted of the two component parts bai (Chinese: 白; pinyin: bái; literally: 'white') and shui (Chinese: 水; pinyin: shuǐ; literally: 'water'), which happened to be the name of the village, Bai Shui in Henan, in which the Emperor Guang Wu, who founded the Eastern Han, was born. This circumstance lent a charm to this coin and prolonged its time of circulation. 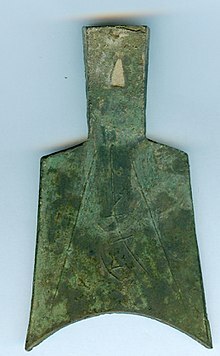 The Huo Quan did indeed continue to be minted after the death of Wang Mang – a mould dated AD 40 is known. Zhi Bai Wu Zhu (Chinese: 直百五銖; pinyin: zhí bǎi wǔ zhū; literally: 'Value One Hundred Wu Zhu') Often found with incuse characters on the reverse. Zhi Bai (Chinese: 直百; pinyin: zhí bǎi; literally: 'Value One Hundred') When Liu Bei, later ruler of Shu and one of the heroes of Romance of the Three Kingdoms, took Chengdu in Sichuan in 214, he was advised to issue "value one hundred" coins to overcome the problems of maintaining his troops; hence these coins are attributed to him. Da Quan Wu Qian (Chinese: 大泉五千; pinyin: dàquán wǔqiān; literally: 'Large Coin, Five Thousand'): Only six specimens are known. Liang Zao Xin Quan (Chinese: 涼造新泉; pinyin: liáng zào xīnquán; literally: 'Liang Made New Coin') is attributed to King Zhang Gui (317–376), who ruled in the north-western area. Feng Huo (Chinese: 豐貨; pinyin: fēng huò; literally: 'The Coin of Abundance') has text that uses Seal Script. There is no rim. They were cast by Emperor Shi Le in 319 at Xiangguo (now Xingtai in Hebei) with a weight of 4 zhu. They are known as the Cash of Riches – keeping the coin about one was said to bring great wealth. However, the historical record states that the people were displeased, and that in the end the coin did not circulate. Si Zhu (Chinese: 四銖; pinyin: sì zhū; literally: 'Four Zhu') No inner rims on obverse. Issued by Emperor Wen in 430, from the capital at Nanking. A Coinage Office was established under the Chamberlain for Palace Revenues. Xiao Jian (Chinese: 孝建; pinyin: xiào jiàn; literally: 'Xiaojian period') with the reverse: Si Zhu (Chinese: 四銖; pinyin: sì zhū; literally: 'Four Zhu') A poor coin, with many variations. Issued by Emperor Xiao from 454. Actual weight nearer 2 zhu. Withdrawn by the Emperor Ming in 467. Tai Qing Feng Le (Chinese: 太清豐樂; pinyin: tài qīng fēng lè; literally: 'Tai Qing, Prosperous and Happy') are attributed to the Tai Qing period (547–549) of Emperor Wu. A hoard was discovered in Jiangsu containing 4,000 Tai Qing Feng Le coins with various other sorts of coins showing that this is not an amulet as had been claimed by some authorities. Tai Huo Liu Zhu (Chinese: 太貨六銖; pinyin: tài huò liù zhū; literally: 'The Large Coin Six Zhu') were issued by Emperor Xuan in 579. At first the coin was equivalent to ten Wu Zhus. Later the value was changed to one, and the contemporary saying "They cried before the Emperor, their arms akimbo" is said to refer to the discontent among the people caused by this. The seal character for liu suggests the "arms akimbo" posture. The coin was withdrawn in 582 when the Emperor died, and Wu Zhus were adopted. The Chen capital was Nanking. Tai He Wu Zhu (Chinese: 太和五銖; pinyin: tài hé wǔ zhū; literally: 'Taihe [period] Wu Zhu'): Although the Northern Wei had been established in 386, its Turkish and Mongolian tribes had retained a nomadic way of life with no need for money until 495, when Emperor Xiao Wen issued this coin, probably at the capital Datong in Shanxi. Yong An Wu Zhu (Chinese: 永安五銖; pinyin: yǒng'ān wǔ zhū; literally: 'Yong An [period] Wu Zhu') coins were first issued in the autumn of the second year of Yongan (529) by Emperor Xiao Zhuang. It is said that they continued to be cast until 543 under the Eastern and Western Wei dynasties. During the Eastern Wei dynasty, private coins with nicknames such as Yongzhou Green-red, Liangzhou Thick, Constrained Cash, Auspicious Cash, Heyang Rough, Heavenly Pillar, and Red Halter circulated, all possibly Yong An Wu Zhus. Chang Ping Wu Zhu (Chinese: 常平五銖; pinyin: chángpíng wǔ zhū; literally: 'The Constant and Regular Wu Zhu') were cast by Emperor Wen Xuan in 553. They are finely made. The Northern Qi capital was Linzhang in Hebei. Under the Northern Qi, there was an Eastern and a Western Coinage Region, under the Chamberlain for Palace Revenues. Each Regional Director supervised 3 or 4 Local Services. Bu Quan (Chinese: 布泉; pinyin: bù quán; literally: 'Spade Coin') were issued in 561 by Emperor Wu of the Northern Zhou dynasty. One was to be worth five Wu Zhus. To distinguish this coin from the Bu Quan of Wang Mang—the stroke in the middle of quan is continuous. They were withdrawn in 576. Wu Xing Da Bu (Chinese: 五行大布; pinyin: wǔháng dà bù; literally: 'The Large Coin of the Five Elements [metal, wood, water, fire, and earth]') were issued in 574 by Emperor Wu. They were intended to be worth ten Bu Quans. Illegal coining soon produced specimens of a reduced weight and the authorities banned the use of this coin in 576. This inscription is frequently found on amulets. Yong Tong Wan Guo (Chinese: 永通萬國; pinyin: yǒng tōng wànguó; literally: 'Everlasting Circulation in Ten Thousand Kingdoms') were issued in 579 by Emperor Xuan. There nominal weight was 12 zhu, and the coin was meant to be equivalent to ten Wu Xing coins. Peng Xinwei proposes that this inscription reads "Yan Xiang". Kai Yuan Tong Bao (Chinese: 開元通寶; pinyin: kāiyuán tōng bǎo; literally: 'The Inaugural Currency') were the main coin issued by the Tang. 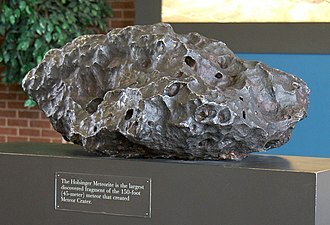 It was cast for most of the dynasty, a period of nearly 300 years. It was first issued by the Emperor Gao Zu in the autumn of the 4th year of the Wu De period (August 621). Its diameter was to be 8 fen. The weight was set at 2.4 zhu, ten to the liang. 1,000 coins weighed 6 jin 4 liang. The legend was written by the famous calligrapher Ouyang Xun in a much admired mixture of the Bafen and Li (official or clerkly) styles of writing. This is the first to include the phrase tong bao, used on many subsequent coins. The inscription was used by other regimes in later periods; such coins can be distinguished from Tang coins by their workmanship. Minting and copper extraction were centrally controlled, and private casting was punishable by death. For the first time we find regulations giving the prescribed coinage alloy: 83% copper, 15% lead, and 2% tin. Previously the percentages used seem to have been on an ad hoc basis. Actual analyses show rather less copper than this. 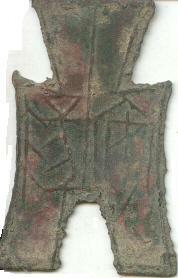 A crescent-shaped mark is often found on the reverse of Kai Yuans. The legend is that the Empress Wende (or, as in some folk legends, Wu Zetian) inadvertently stuck one of her fingernails in a wax model of the coin when it was first presented to her, and the resulting mark was reverentially retained. Other imperial ladies have also been proposed as the source of these nail marks, especially the Imperial Consort Yang. Peng explores the possibility of a foreign source for them. More prosaically, they appear to be a control system operated by the mint workers. De Yi yuan bao (Chinese: 得壹元寶; pinyin: de yī yuánbǎo; literally: 'Obtain Unity') has the inscription De Yi, which also implies "last for one year". They were felt to be inauspicious, and were changed to Shun Tian (the period title) in 759. Obverse and reverse of a Guang Tian Yuan Bao coin from the Former Shu. 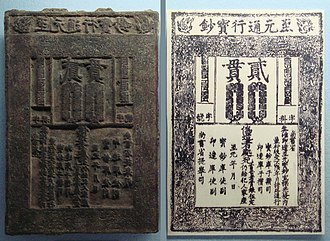 Tian Cheng yuan bao (Chinese: 天成元寶; pinyin: tiānchéng yuánbǎo) were issued by Emperor Ming in the Tiancheng period (926–29). Issued by Wang Jian (907–18). Yong Long tong bao (Chinese: 永隆通寶; pinyin: yǒnglóng tōng bǎo) have the character Min (Chinese: 閩; pinyin: mǐn) on the reverse and comes from the Fujian region. There is a crescent below. 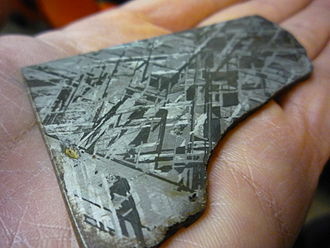 It is made of iron and dates from 942. One of these large Yong Long coins was worth 10 small coins and 100 lead coins. A string of 500 of these poorly made Min iron coins were popularly called a kao (literally: 'a manacle'). Bao Da yuan bao (Chinese: 保大元寶; pinyin: bǎo dà yuán bǎo) has on the reverse the character tian above. 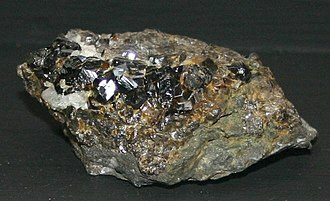 They are made of iron and date between 943–57. There is also an extremely rare bronze example of this coin. Wu Wu (五五), Wu Wu Wu (五五五), Wu Wu Wu Wu (五五五五五), Wu Zhu (五朱), and Kai Yuan Wu Wu (開元五五) coins are typical of the hybrid inscriptions formed by combinations of inappropriate characters. They also have series numbers on the reverse. Huo Bu (Chinese: 貨布; pinyin: huò bù) with the reverse: San Bai (Chinese: 三百; pinyin: sānbǎi; literally: 'Three hundred'). A feature of Northern Song coinage is the sets of dui qian (Chinese: 對錢; pinyin: duì qián; literally: 'Matched Coins'). This means the simultaneous use of two or three different calligraphic styles on coins of the same period title which are otherwise identical in size of hole, width of rim, thickness, size and position of the characters and alloy. One can assume that these congruences arose from the workmanship of the different mints, but no attributions have yet been proposed. ^ a b c d e f g h i j k l m n o p q r s t u v w x y z aa ab ac ad ae af ag ah ai aj ak al am an ao ap aq ar as at au av aw ax David, Hartill (September 22, 2005). Cast Chinese Coins. Trafford Publishing. ISBN 978-1412054669. ^ "China Ancient Currency, Shell Money before Qin Dynasty". www.travelchinaguide.com. Retrieved 2019-01-31. ^ "中國最早金屬鑄幣 商代晚期鑄造銅貝" [China's first metal coins: copper casting in the late Shang Dynasty]. henan.gov.cn (in Chinese). Archived from the original on 2012-03-17. Retrieved 2009-05-11. ^ Giedroyc, Richard (2006). The Everything Coin Collecting Book: All You Need to Start Your Collection And Trade for Profit. Everything Books. ISBN 9781593375683. ^ "(二)两宋时期钱币的铸行". www.china.com.cn (in Chinese). Retrieved 2019-01-31. ^ Hartill 2005, p. 102. David Hartill. CAST CHINESE COINS (Second Edition). New Generation Publishing 2017. Wikimedia Commons has media related to Category:Coins of China. Ancient Chinese Coins website - Nonprofit with lots of information and hundreds of images. Dragon Dollar & Chinese Coins: Late Qing Dynasty machine struck Chinese coins. Primaltrek: Detailed information about cast coins from every period of Chinese history, and the economic conditions that lead to their production. 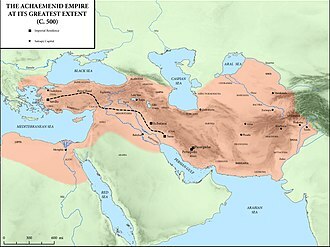 Reason: Khitan conquest of Northern China. 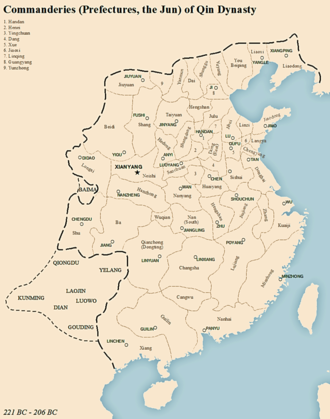 Reason: The Tangut Dingnan Jiedushi becomes independent. Reason: Jurchen conquest of northern China. Hammered coins were produced by placing a blank piece of metal of the correct weight between two dies, and striking the upper die with a hammer to produce the required image on both sides. The planchet was usually cast from a mold, the bottom die was usually counter sunk in a log or other sturdy surface and was called a pile. One of the held the die for the other side. Experimental archeology suggests that a lower die could be expected to last for up to 10,000 strikes depending on the level of wear deemed acceptable. Upper dies seem to have a far greater range of lives with usable lives ranging from just over 100 strikes to nearly 8000 being reported, combining archaeological evidence with historic records suggests ancient coin producers could get as many as 47,000 strikes out of an individual die. 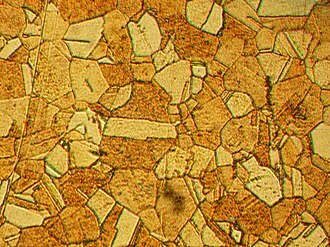 In history, in order to increase the production of coins, hammered coins were produced from strips of metal of the correct thickness. Both methods of producing hammered coins meant that it was difficult to produce coins of a regular diameter, coins were liable to suffer from clipping where unscrupulous people would remove slivers of precious metal since it was difficult to determine the correct diameter of the coin. The stock of a corporation is constituted of the equity stock of its owners. A single share of the stock represents fractional ownership of the corporation in proportion to the number of shares. In liquidation, the stock represents the residual assets of the company that would be due to stockholders after discharge of all senior claims such as secured and unsecured debt. Stockholders equity cannot be withdrawn from the company in a way that is intended to be detrimental to the companys creditors, the stock of a corporation is partitioned into shares, the total of which are stated at the time of business formation. Additional shares may subsequently be authorized by the shareholders and issued by the company. In some jurisdictions, each share of stock has a certain declared par value, in other jurisdictions, shares of stock may be issued without associated par value. Shares represent a fraction of ownership in a business, a business may declare different types of shares, each having distinctive ownership rules, privileges, or share values. Ownership of shares may be documented by issuance of a stock certificate. 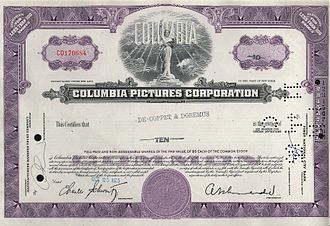 A stock certificate is a document that specifies the amount of shares owned by the shareholder. Stock typically takes the form of shares of common stock or preferred stock. As a unit of ownership, common stock typically carries voting rights that can be exercised in corporate decisions, shares of such stock are called convertible preferred shares. New equity issue may have specific legal clauses attached that differentiate them from previous issues of the issuer. Some shares of stock may be issued without the typical voting rights, for instance, or some shares may have special rights unique to them. Often, new issues that have not been registered with a governing body may be restricted from resale for certain periods of time. Preferred stock may be hybrid by having the qualities of bonds of fixed returns and they have preference in the payment of dividends over common stock and have been given preference at the time of liquidation over common stock. Coins provide not only evidence of art and economy, but a wisdom for understanding the history and politics of a nation. As a means of communication, they speak to the political, Coinage of India, issued by Imperial dynasties and Middle kingdoms began anywhere between 6th century BCE to 1st millennium BCE, and consisted mainly of copper and silver coins in its initial stage. Scholars remain divided over the origins of Indian coinage, cowry shells was first used in India as commodity money. In recent discoveries punched mark Mudras of stone have been found in lost city of Dwaraka, which is said to be existed at least 5,000 years ago. The Indus Valley Civilisation dates back between 2500 BC and 1750 BC, what is known, however, is that metal currency was minted in India well before the Mauryan Empire, and as radio carbon dating indicates, before the 5th century BCE. The practice of minted coins spread to the Indo-Gangetic Plain from West Asia, the coins of this period were called Puranas, Karshapanas or Pana. Mahajanapadas that minted their own coins included Gandhara, Kuru, Shakya, the tradition of Indian coinage was further influenced by the coming of Turkic and Mughal invaders in India. The East India Company introduced uniform coinage in the 19th century CE, and these coins were imitated by the modern nation states of Republic of India, Sri Lanka. Numismatics plays a role in determining certain period of Indian history. Punch-marked coins are a type of early Coinage of India, dating to between about the 6th and 2nd centuries BC. The first coins in India were minted around the 6th century BC by the Mahajanapadas of the Indo-Gangetic Plain, the coins of this period were punch-marked coins called Puranas, Karshapanas or Pana. Several of these coins had a symbol, for example, Saurashtra had a humped bull. These coins were made of silver of a weight but with an irregular shape. This was gained by cutting up silver bars and making the weight by cutting the edges of the coin. They are mentioned in the Manu and Buddhist Jataka stories, shurasena Surashtra Early coins of India were made of silver and copper, and bore animal and plant symbols on them. In the study of numismatics, token coins or trade tokens are coin-like objects used instead of coins. The field of tokens is part of exonumia and token coins are token money, Tokens either have a denomination shown or implied by size, color or shape. Tokens are often made of metals, pewter, aluminium and tin were commonly used, while bakelite, porcelain. In the case of currency issued by a company but recognized by the state there is a convergence between tokens and currency. 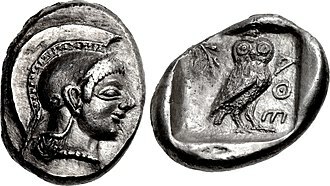 In their purest form, currency tokens issued by a crossed the boundary of merely being trade tokens when they were sanctioned by the local government authority. This was sometimes a measure resulting from a shortage of money or the governments inability to issue its own coinage. In effect, the organization behind the tokens became the regional bank, a classic example of this is the Strachan and Co trade tokens of East Griqualand in South Africa which were used as currency by the indigenous people in the region from 1874. Their initial success resulted from the scarcity of small change in this region from that time. Similarly, in times of inflation, tokens have sometimes taken on a currency role. An example of this is Italian or Israeli telephone tokens, which were good for the same service even as prices increased. New York City Subway tokens were accepted sometimes in trade, or even in parking meters, coin-like objects from the Roman Empire called spintria have been interpreted as a form of early tokens. Their functions are not known from history, but they appear to have been brothel tokens or possibly gaming tokens. Medieval English monasteries issued tokens to pay for services from outsiders and these tokens circulated in nearby villages where they were called Abbots money. Also, counters called jetons were used as small change without official blessing, the token was in effect a pledge redeemable in goods but not necessarily for currency. These tokens never received official sanction from government but were accepted and circulated quite widely and this shortage was felt more keenly because of the rapid growth of trade in the towns and cities, and this in turn prompted both local authorities and merchants to issue tokens.